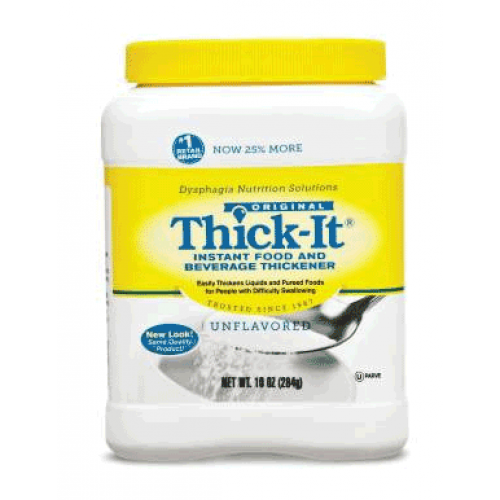 Thick-It Instant Food and Beverage Thickener Powder is a corn-starch-based food thickener that provides a more enjoyable eating experience for people with dysphagia or swallowing disorders. The powder form allows users to customize the level of thickness that works best for them. It takes less than a few moments to quickly mix into hot or cold beverages from coffee to apple juice. It's also easy to mixing with pureed foods and it won't compromise the taste or appearance. For other dietary restrictions, Original Thick-It is gluten-free and kosher. 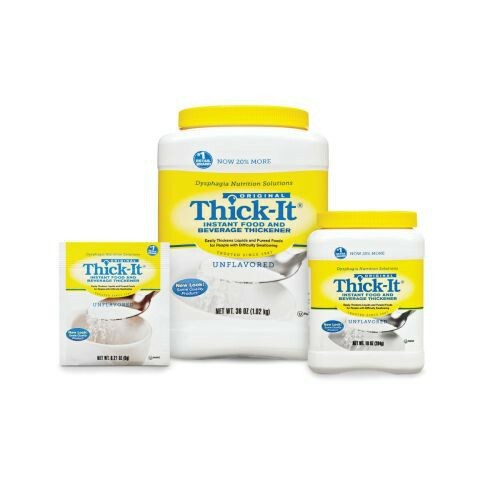 You might also be interested in similar food thickener products such as Thick-It Aquacare H20 Thickener Liquids. Do you provide directions for use especially the amount to use? We've added a file to include proper instructions for use, including a measurement guide. Great product for swallowing disorders! 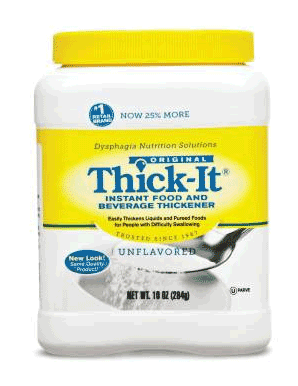 Thick-It enables my child to still enjoy beverages by mouth, in spite of his swallowing difficulties. We have used this product for several years, and will continue in the future!